Pantone's Living Coral is great for Spring and Summer 2019! 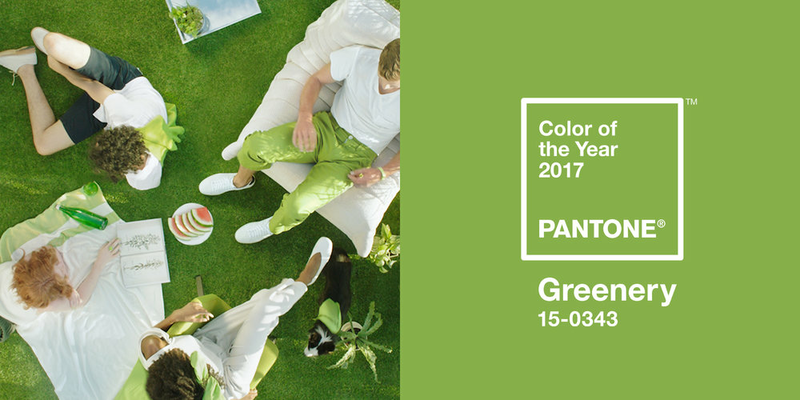 How to use Pantone's Color of the Year "Greenery" in Your Event! With the color of the year released by Pantone not too long ago, we thought that we would give some tips on how to incorporate it into your wedding or event. Whether you want to include "greenery" as ink color or paper color it is up to you. 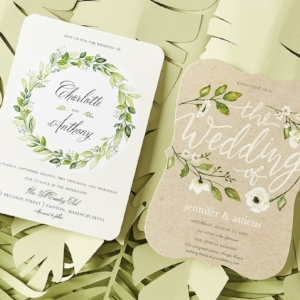 Greenery can also be incorporated in the theme or design as well. This one might be obvious, but going for the green. Include a lot of "greenery" or choose to play up the foliage in the centerpieces to create an arrangement that pays tribute to the shade. Of course I am not saying to go for a green suit, save that look for the Kentucky Derby. 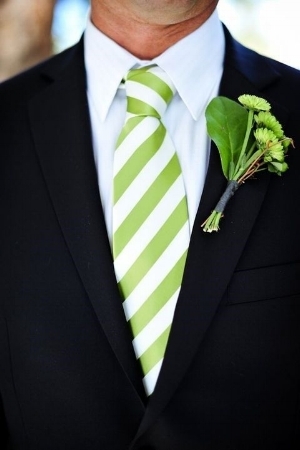 Instead, opt for small details such as ties, pocket squares, the shirt, or bridesmaid dresses. Wedding season will be here before you know it! With our expertise on all things wedding, we thought that it would be beneficial to share 8 questions that to ask your wedding photographer! Because the photographer is so essential you will also want to ask for a portfolio, recommendations, and of course meet with the potential photographer in person! 1. How would you describe your style of photography? This is important because if you identify with southern styled wedding photography, then you wouldn't typically care for dark, candid pictures. Your style would be airy and light. 2. How many hours are included in your package and what is the cost for extra? Need I say more? 3. How many weddings do you book per day? I find that a photographer that books multiple weddings a day could back out. You will want to know where he/she is coming from and if there is a backup in place. 4. What happens if you get sick and can't make it? On a similar note, ensure there’s some sort of plan in place in case of any last minute emergences where your photographer can’t make it. 5. Do you bring your own lighting? Ask whether he will use the available lighting or if he plans to bring his own. Just make sure any equipment isn’t too obtrusive or distracting from your décor. 6. How will I get my photos? Some photographers will post photos on their own password-protected sites while others will deliver physical proofs. 7. Who owns the copyright to the photos? If the photographer owns the copyright (which is pretty typical) and grants you certain usage, this means you’ll have to order prints through the photographer. Be prepared for that extra cost! 8. Will you be posting my wedding photos on your website or social media? This is important to address if privacy is a concern. Above all, make sure you and your groom mesh well with your photographer. You’ll get better shots if you’re comfortable and relaxed, after all! We thought that with engagement season in full bloom, we would let you know how to break the news before the bling comes into your life! So, this post is devoted to telling you the most popular ways to announce your engagement - that also keep etiquette in mind! 1. Pick up the phone! The general rule for this is that you call your parents, relatives, and close friends by phone! And there are truly every few exceptions! However, if you can swing by their home it is even better. The key is to make your rounds and phone calls before you notify socially! 2. Tell the social scene! After you have made your calls, then it is time to post away! Feel free to snapchat your ring, post about the proposal on Facebook, and make your cute Boomerang video via Instagram. While some parents prefer to mail out engagement announcements for longer engagements or want to have it printed in a newspaper for a keepsake - the choice is all yours. Lastly, formal announcement, such as a post in a local newspaper vary so check the guidelines. Despite how you choose to start spreading the news, remember to take it all in and enjoy every moment! Also, feel free to get some inspiration on our Pinterest board here! And don't forget to follow us while you are there! Sign up to receive industry news, tips 'n tricks, and updates. We respect your privacy. We have not and will not sell, trade, or distribute any personal information to third parties. This newsletter is sent to subscribers only.